What a wonderful day I had today. My daughter and I jumped in the van and headed south of Olympia to shop and leave stacks of our Girlfriend flyers everywhere we went. (Look for them~ they're bright green.) Roslyn navigated from the pile of autumn colored cards I had collected. Wow, what a busy weekend in Lewis County, and how convenient to hop from sale to sale on those country roads. Every show we approached was so delightful to see. Pumpkins, bittersweet and rosehips greeted us along with really great stuff that got my heart racing. You have no idea how badly I needed to feel that way again. This has been one of the toughest years I've had. I was afraid I'd lost my love of buying and selling, and nothing inspired me anymore. But hey, after today, that old feeling is coming back! We ran into many friends and customers and met new people too. 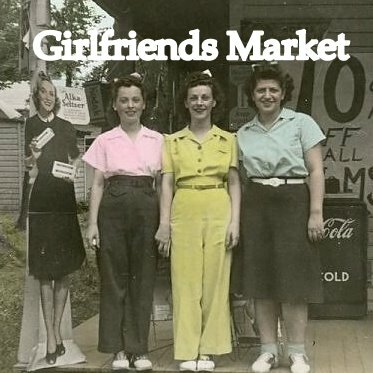 I'm excited about our Girlfriends Market because today I heard a lot of compliments on how special our show is. That's a good thing because it's exactly what we envisioned it to be five years ago. Warm, festive, delightful to the eye, good music, yummy food, really great stuff to buy, and vendors who are fun and really care. And yes, we do have a reputation of spoiling our vendors, but hey they work hard. Tomorrow I'm off to more sales, but first I need to unload my van, and that's a good feeling!